Lake Toba is the world's largest inlan lake and one of Indonesia's premier tourist attractions. Toba is situated about 2.800 feet above sea level in a misty mountain region of great scenic beauty.Three hour drive from the regional capital of Medan, the lakeside community of Parapat. Is the garden Hotel INNA PARAPAT. From the comfort of your beautifully appointed room, take in a panoramic vista of the lake and historic Samosir island at its center. Ferries depart regularly on sightseeing tours around the lake and there are nature trails to follow, perfectly preserved tribal village to visit, a wealth of ethnic handicraft to buy and lake home. 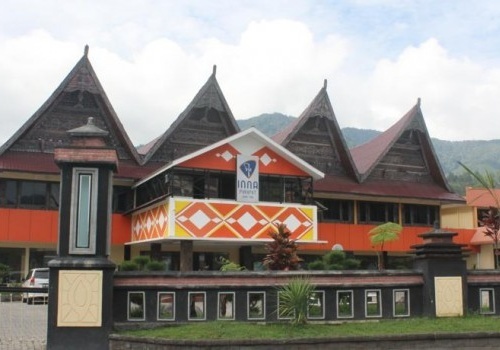 Local adn International cuisine, entertainment, swimming, sailing, first class service and amenities provide at INNA PARAPAT are an essential part of the toba experiences.